Locally owned and operated, Nitti Sanitation has been providing quality waste removal and recycling solutions to both commercial and residential customers in the Eagan, Minneapolis, and St. Paul, MN areas. 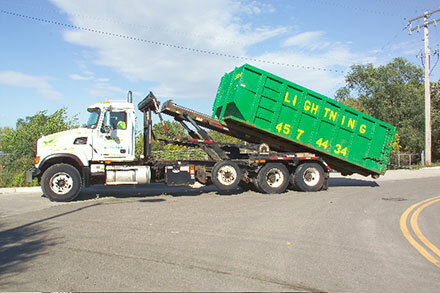 Since 1993, we have also offered our customers recycling roll off containers in various sizes. All of our roll off containers are ready to deliver to your job-site or property, including self-contained stationary compactors for special job sites. We are proud to offer same day service for many of our roll off box deliveries, as well as evening and weekend service for special arrangements. Contact Nitti Sanitation today at 651-457-7497 for a no-obligation, confidential bid, or browse the website for more information about Commercial and Residential Garbage and Recycling services or our recycling method.